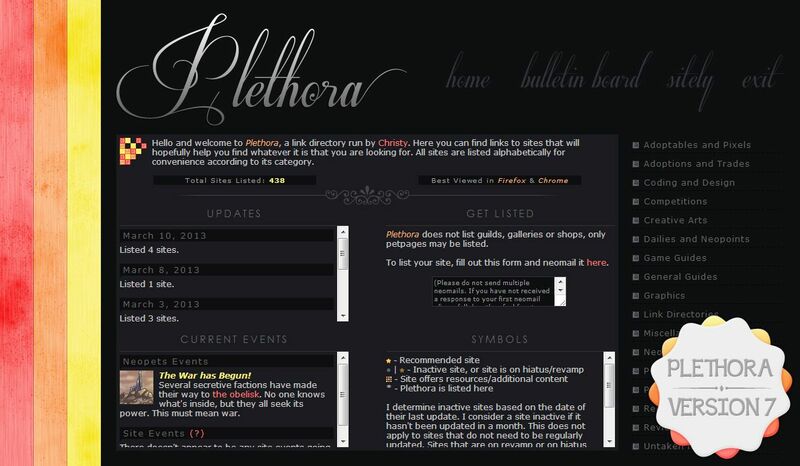 Hello and welcome to Plethora, a link directory run by Christy. Here you can find links to sites that will hopefully help you find whatever it is that you are looking for. All sites are listed alphabetically for convenience according to its category. Hello everyone. 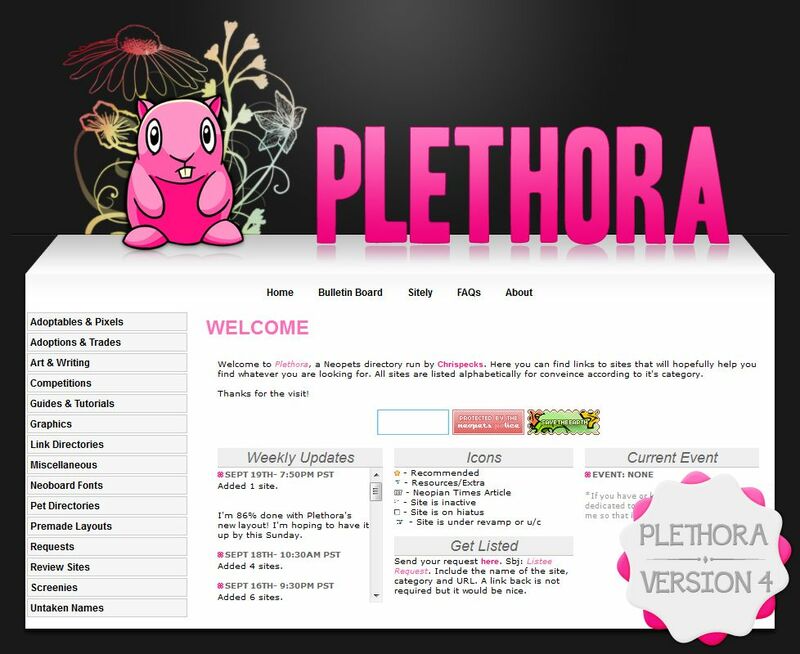 I regret to inform you all that Plethora has closed. Not only has the site community really declined in the last couple years which has been discouraging but real-life responsibilities, work, and a new obsession (DCUO), have really taken up a lot of my time. At this time I no longer have any interest in playing Neopets, more or less maintaining a link directory. I may or may not come back in the future, so please do not steal my site name, nor my layout/coding. 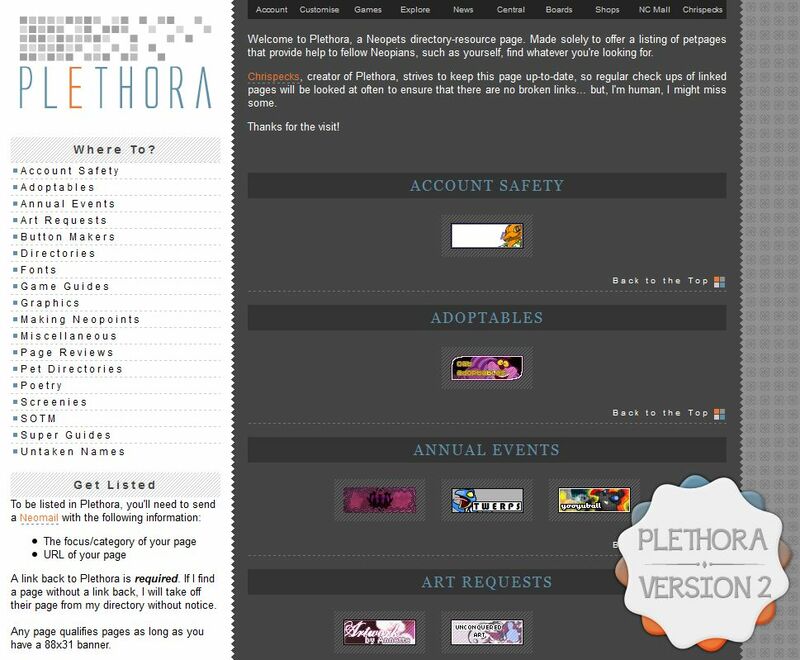 I will also be leaving Plethora up to slowly wither away. It's been a good 5 years. But I must say goodbye for now. Take care everyone. There currently isn't a Neopets event. Please note that this section will be updated when a Neopets event occurs. Check the News to be up-to-date. There doesn't appear to be any site events going on right now. 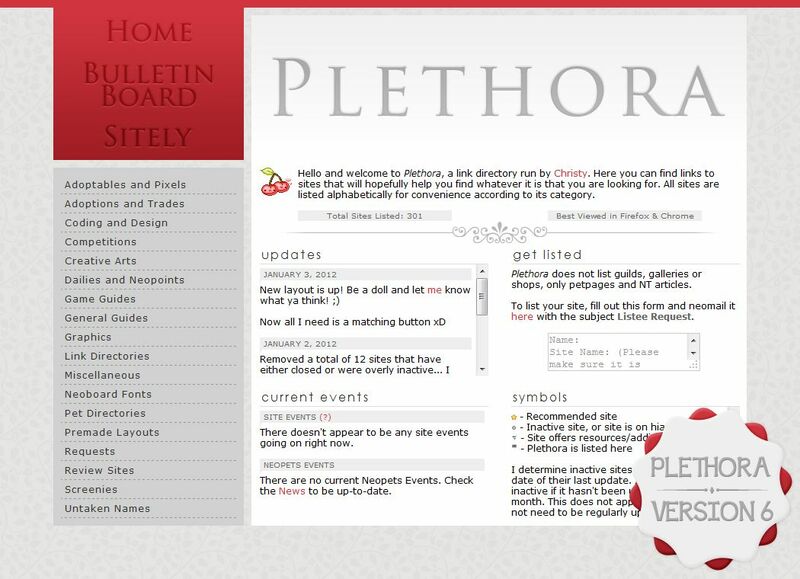 Plethora does not list guilds, galleries or shops, only petpages may be listed. To list your site, fill out this form and neomail it here. I determine inactive sites based on the date of their last update. I consider a site inactive if it hasn't been updated in a month. This does not apply to sites that do not need to be regularly updated. Sites that are on revamp or on hiatus are also considered "inactive. Sites that have not been updated in 6 months will be removed due to being overly inactive. Again, this excludes sites that do not need to be regularly updated. To post sitely news, announcements or updates for your site, fill out this form and neomail it here. Blush Cafe is open for business! 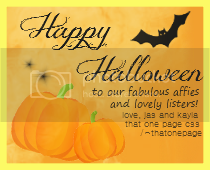 We would like to offer you hot out of the oven buttons! Speedy and always delicious, please consider trying Blush for your button needs. Happy Holidays! Lucid is now off-hiatus! 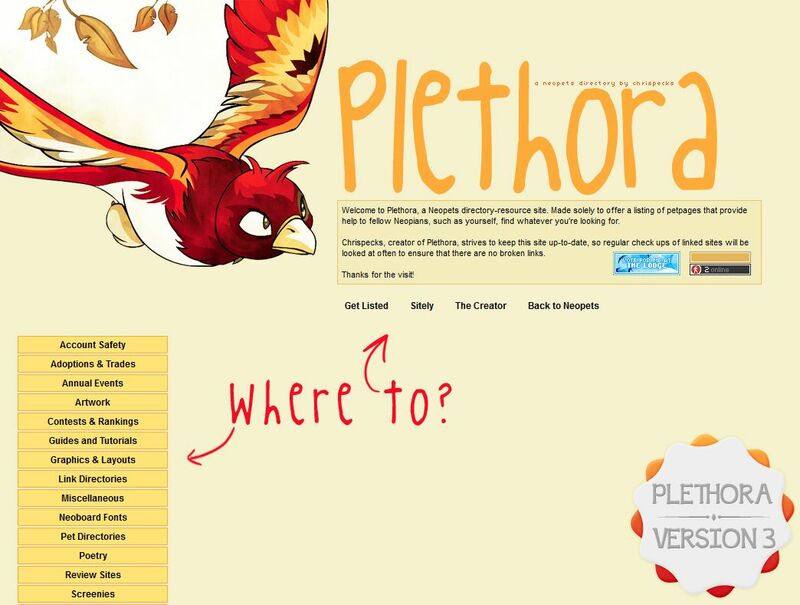 Certain button requests are currently open, so head on over and request before they close again! Since Light is quitting next week, Adieu is tentatively seeking another owner. Read the updates for more info. Entering for SOTM is now open! Also, there is only one entrant spot left in BOTM, so enter now! Undercover Reviews is a brand new guild review site. We currently have open requests, so stop in and request for your guild to be reviewed! 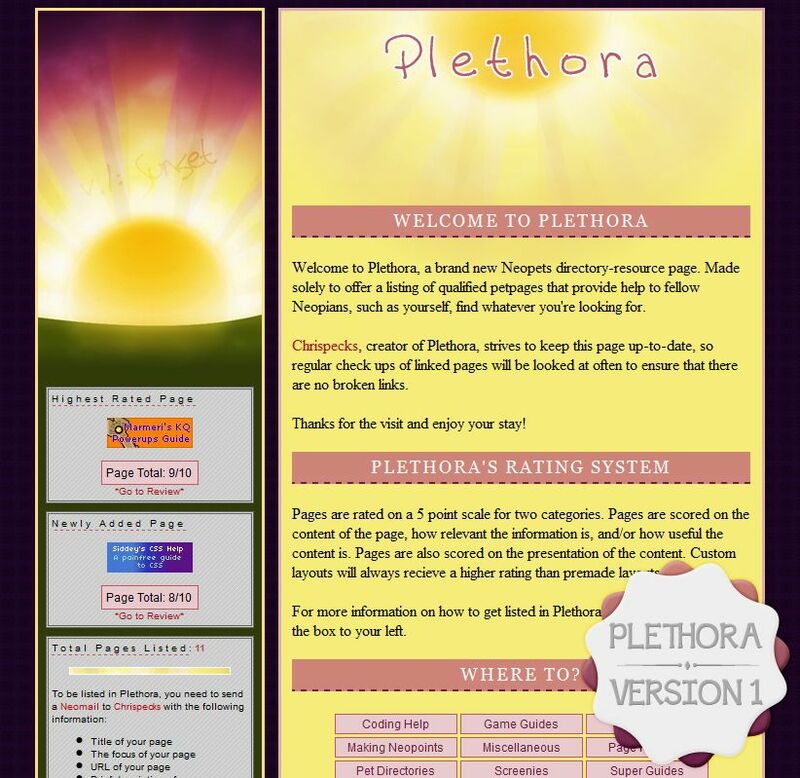 Plaudits is back from its revamp with a brand-new, unique style of competition! Please come check it out; I'm looking for entrants and judges. Bastion is a new graphics request site with a twist! Requests are open and we are currently looking for affiliates and listers. Always Hope Amilu Adoptions Cocopalm's Adoption Agency Memorable Zaps SoS Adoption Agency Zapportunities Zzzzzap! Newphilous What's Cookin, Good Lookin'? 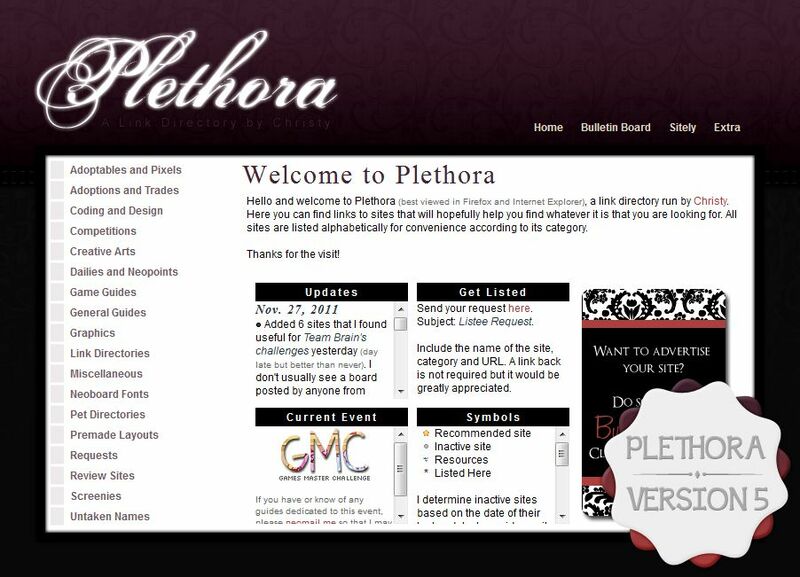 Plethora is currently only accepting link directories at this time; Apply. Layout created by me (Chrispecks), please do not steal my layout or coding. Color palette: Knot Without You, from Kleur. Background patterns: Bedazzled and 49 Days.